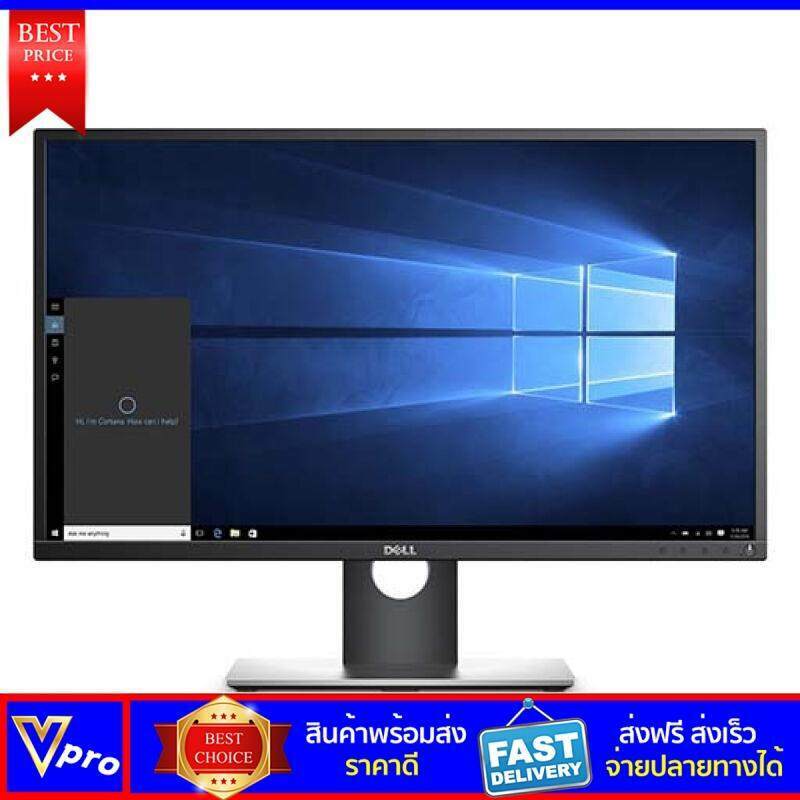 Product Description Dell 22 Monitor –E2216HV Device Type LED-backlit LCD monitor – 22″ Diagonal Size 22″ Features NA Panel Type TN Aspect Ratio 16:9 Native Resolution Full HD (1080p) 1920 x1080 at 60 Hz Pixel Pitch 0.248 mm Brightness 200 cd/m² Contrast Ratio 600:1 Response Time 5 ms (black-to-white) Color Support 16.7 million colors Input Connectors VGA Display PositionAdjustments Tilt Screen Coating Anti-glare, 3H HardCoating Dimensions (WxDxH) -with stand 20.2 in x 7.1 in x 15.6 in Weight 7.39 lbs Everyday office essentials Screen performance: View your applications, spreadsheets and more on 21.5 inches of 1920×1080 Full HD clarity, with 16.7 million colors, a color gamut of 85 percenti and 50° to 65°/90° viewing angles. Plug and view: Compatible with legacy and current PCs via VGA. Mounting option: Keep your desk clutter-free by mounting your VESA® compatible monitor on the wall or using the optional Dell Single Monitor Arm, detailed below. Tilt at will: Work comfortably by tilting the monitor 5° forward or 21° backward. Convenient controls: Easily access buttons for power, brightness, contrast and customizable preset modes on the monitor’s front panel. Eco-conscious and reliable Peace of mind included: Relax knowing that your Dell monitor comes with a 3-year Advanced Exchange Servicei within its 3-Year Limited Hardware Warranty.i Reduced footprint: The Dell 22 Monitor features PowerNap technology that reduces screen brightness or puts the monitor in sleep mode when it’s not in use. This monitor also meets the latest regulatory and environmental standards: ENERGY STAR® Qualified EPEAT Silveri Environment-friendly materials: Your new Dell monitor is made with arsenic-free glass and a mercury-free LED panel. Its circuit boards are made from brominated flame retardant (BFR)- and PVC-free laminates, and it has more than 25% post-consumer recycled plastics in its chassis.